I have post-seder ennui—worse than the usual Passover prep hangover—and I need a new challenge: an omer counter. I’m looking for a design that is group-friendly, and that doesn’t require us to buy any materials. Ideally, I want BARLEY in it: real barley groats, real barley stalks to remind us of the omer origins. I already have both. But kids aren’t going to be pushing each other out of the way for the chance to open a matchbox to grab . . . a groat. EDIT: I made some LEGO omer counters. See my LEGO omer counters here, my Swim Noodle omer counter here, and my Rainbow Loom omer counter here. I’ve never made an omer counter. 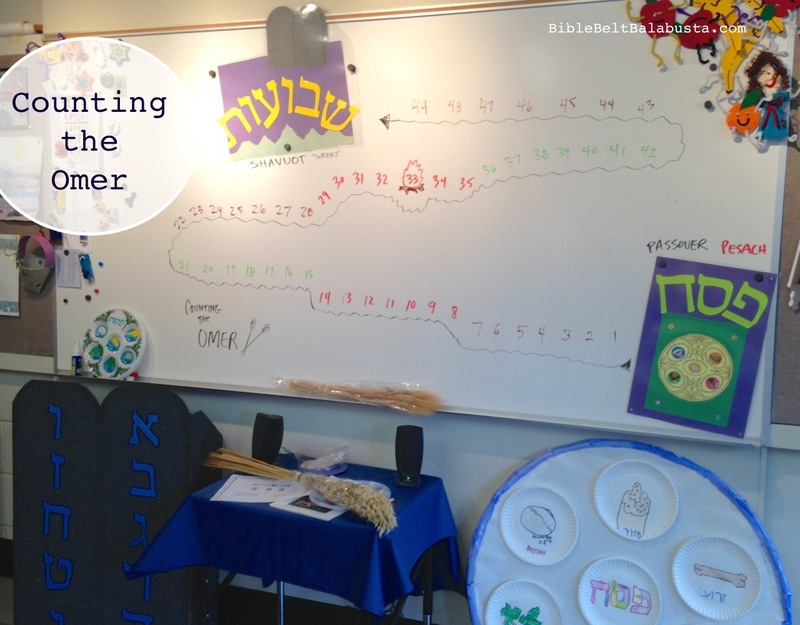 I’ve made an omer event, where kids start walking at Passover (the Sea of Reeds) and step on numbered circles till they reach Shavuot (Mt. Sinai) at step #50 (after shooting a Lag ba’Omer arrow at step #33). It also included mini Tablets and edible bonfires. Oh, and there’s my thumbprint people diorama, which uses the omer to connect the Sea (free people) and the Mountain (holy people). But not a counter. Not yet. I stalked the Internet for DIY omer counters, and thought I might as well list them here. I do like to feel useful. Of course, there are several Pinterest boards already. Chai & Home has a nice one. Pebbles, clothespins, envelopes, banner garland, etc. First, I must make sure that we all know that we can totally convert advent calendars, right? Transpose, repurpose in spirit and design? If you don’t know what an advent calendar is, you are not from the Bible Belt. My ideal advent transposition would be to copy an official LEGO advent calendar so that I could—that my students could—open a tiny door and find a new minifig to assemble every single day. Swoon. In 2008, I saw my first candy omer counter. It’s still up at HaSoferet‘s old website. 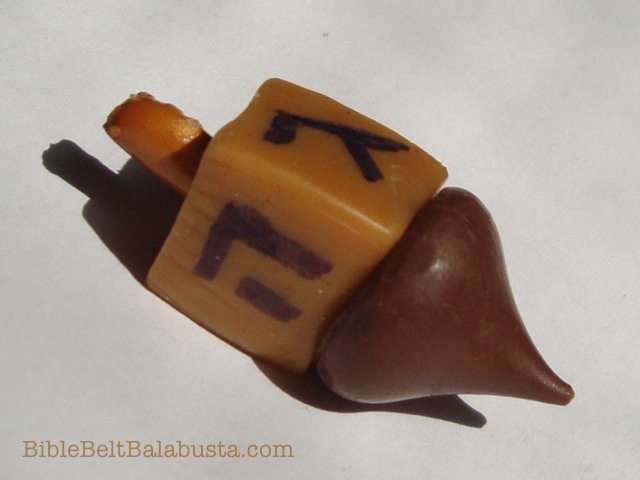 Simple, quick, and a good way to use up a big box of Passover chocolates. 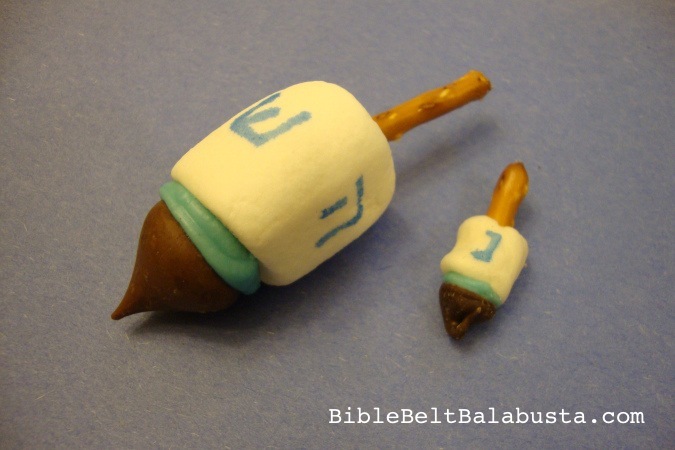 HaSoferet is the Torah scribe responsible for Tefilllin Barbie and other marvels, including the thumbnail pdf Megillah I use for my Playmobil polymer clay megillah case. 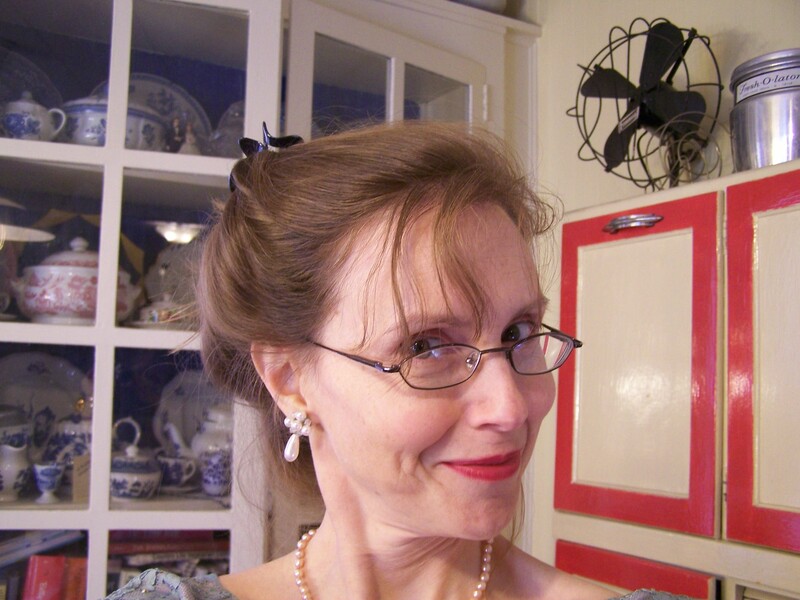 Amy Meltzer, author and Homeshuling blogger has chart-based candy omer counters here, here and and here. 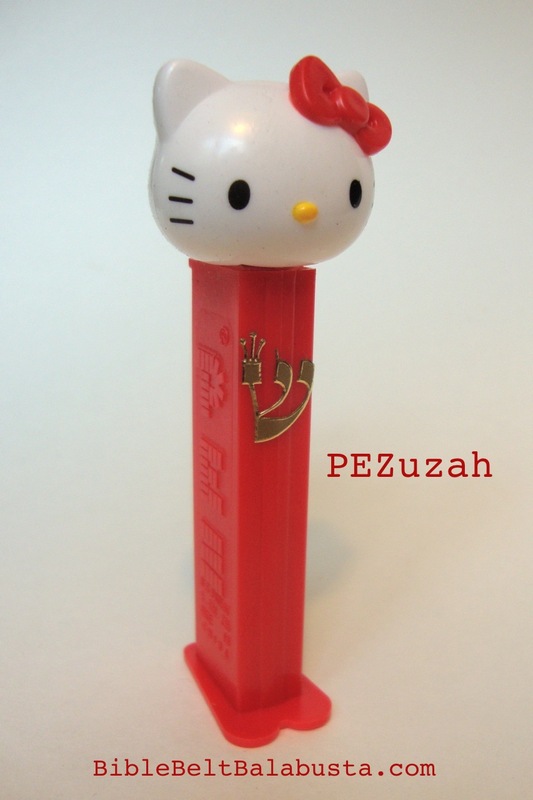 Note that she uses nice Kosher for Passover candy for Pesach week (like those chocco teddy pops) and then switches to drugstore kosher candy she gets half-price after Easter. I love Amy for many reasons, and this is but one. Trust a Gan teacher to be practical. Midianite Manna has lovely quilted versions for sale in her Etsy shop. At a guest post at On The Lettuce Edge, she writes about how she got the idea. Also at On the Lettuce Edge, Tanya Tolchin has a neat tree-shaped fabric version that used up her supply of diaper snaps. I imagine that you could substitute velcro dots, and with fabric glue could skip the whole sewing part (I don’t have a machine). I do love tree imagery. 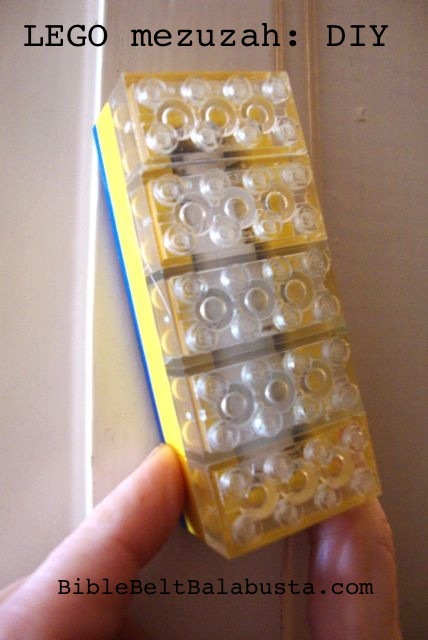 Repurposed CD-cases (with printable template!). Chinuch.org has a wooden flip chart omer counter. You could do something similar with a comb-bound booklet hung with string. Creative Jewish Mom uses a big picture frame and punched papers for a pretty chart, here. Jewish Art Salon features a bona fide omer artwork by Studio Gruss that I am still trying to figure out. Brass golf balls would be a unwise addition to my classroom, but I could recreate the design with old golf balls from the scrap art bins. IF I knew how it actually worked and if it was irresistible to operate. Sesame Street’s Count is a popular omer meme. Everybody loves the Count, right? My school director made a poster board chart for the school entrance, but I am having trouble finding a printable Count chart online. Can you? Homer Simpson has been counting the omer online for about 16 years now. Brilliant. You can download a printable version of the Homer Counter, too. APPS: I don’t want an app. I want something to touch and move for reals. I am no closer to even imagining what kind of thing I’d want my students to create, so I will ask them to help me brainstorm. Please add ideas in the comments or via email or any way you wish, and I’ll put them here, too. 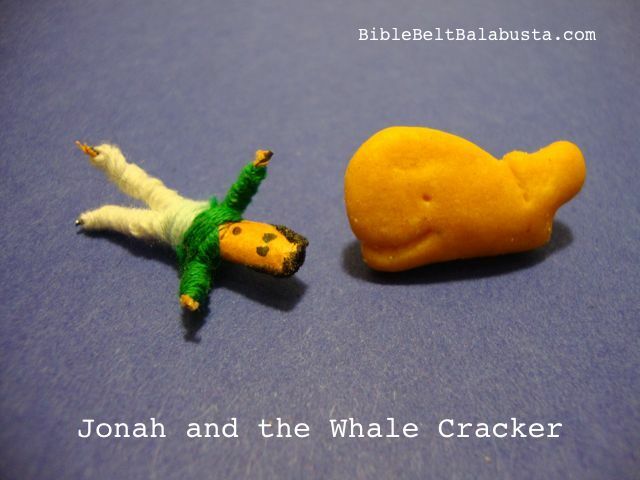 This entry was posted in Activity, Crafts, Passover and tagged omer. Bookmark the permalink. I have no useful suggestions, but thank you for the excellent summary of what is out there! My son and I make them too… Candy Omer counters… Likely inspired by Morah Amy Meltzer… But ours with the Sefirot noted of course :). I have a printed one that I have done with my entire Sunday School which I can send you or scan! Riqi, I’d love to see your printable, thanks! Love your Sea of Reeds program ideas! Thank you… Happy Crossing of the Sea tomorrow night! Thanks for mentioning my omer counters. I’m still a big fan of Berkley artist Susan Duhan Felix’s abacus style omer calendar and Naharia artist Adina Gatt’s magnetic omer calendar. You could do something with your kids with toilet paper rolls and broomsticks for the former idea. Chinuch.org has an awesome abacus idea made from pipe cleaners and pony beads (7 beads each on 7 pipe cleaners). It makes it really easy to count weeks and days and I’ve done it with a class full of four year olds. Will try three year olds this year! Thanks for the tip. I had checked that site and must have missed the abacus. Working on a big version right now.